see us patent no 9,238,445 B2. Canadian registered trademark for sale! U.S. Patent has 8 claims and 4 drawings. 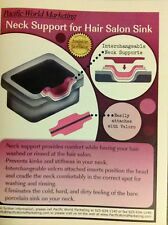 Neck Support provides comfort while having your hair washed or rinsed at the hair salon. Prevent kinks and stiffness in your neck. Interchangeable velcro attached inserts, positions the head and cradles the neck comfortable in the correct spot for washing and rinsing. I have For Sale a Granted US Design Patent. Real Estate Domain. Domain Transfer. Due to the nature of a domain transfer. This technology also increases the power output and the functional angle of attach for conventional sails, which dramatically increases boat speed and reduces sail trimming. U.S. Design Patent # D617652. Hat Patch dot com the interchangeable patches is. Feed your dog with love! This process will take from 2 to 3 weeks. It is designed as a product system where different parts can be combined and connected with each other. The funerary urn is designed for being made of plastic, in particular, of types of biodegradable plastics in combination with bioadhesives. 1 > 1 "pending " Federal product TRADEMARK > CBDaRx™ serial #88/ #137,728. This process will take from 2 to 3 weeks. "pending" Federal product TRADEMARK > HookedOnCBD™ serial #88/ #204.719. For Sale is my This process will take from 2 to 3 weeks. "pending" Federal product TRADEMARK > HookedOnHemp™ serial #88/ #204,713. For Sale is my This process will take from 2 to 3 weeks. CannaBiz dot BIZ. For Sale is. You may use the attached model withdrawal form, which, however, is not obligatory. -Kommunikationsdaten einschließlich Art, Datum und ggf. To exercise your right of withdrawal, you must inform us. -die betroffene Person Widerspruch gegen die Verarbeitung gemäß Art. 21 Abs. You may use the attached model withdrawal form, which, however, is not obligatory. -Kommunikationsdaten einschließlich Art, Datum und ggf. To exercise your right of withdrawal, you must inform us. -der in Punkt Nr. The plant pot is designed for being made of coir (coconut fibre). You may use the attached model withdrawal form, which, however, is not obligatory. -die betroffene Person Widerspruch gegen die Verarbeitung gemäß Art. 21 Abs. Granted patent #2475514. WE DESCRIBE AS BEST WE CAN. The item you see is the actual item you are buying, unless there are multiples for sale. Further, old plastic tends to get brittle & especially withTOYS, can break easy under 'typical' use. "pending" Federal product TRADEMARK > CBD™ (in a think bubble)serial #88/ #169,879. In class #05 for: Dietary & nutritional products containing CBD derived from industrial hemp. For Sale is my. High Win Baccarat system guide......We cover your loses if you lose!! There is no other better Baccarat system in the world then this! The shoe to play and not to play. You Can start beginning or middle of shoe. Win 8 out of 10 shoe. You play a average of 4 units each shoe. 1> TicTacToke®. 6> PuffPuffPass®. 7> the Canadian version of PuffPuffPass™. 5> DUDE, Where's My Pot™ is a pending service mark. 2> Pot Checkers™. 3> Pot Cube™. For Sale is my website. CAFE HEMP ®. This Service Mark was created to build a chain of Cafe's with a full line of HEMP drinks. I will act as a HANDS ON consultant to help show the new owner. For consulting services in industrial hemp products. "pending" Federal product TRADEMARK > CBDwateRx™ serial #88/ #204,649. For Sale is my This process will take from 2 to 3 weeks. Presto Hemp dot com is for sale. for a Federal Trade or Service Mark application. "pending" Federal product TRADEMARK > HiCBD™ serial # 88-356936. For Sale is my This process will take from 2 to 3 weeks.
" pending" Federal product TRADEMARK > Hi Hemp™ serial # 88-355997. In class #05 for: Dietary & nutritional products derived from industrial hemp. For Sale is my This process will take from 2 to 3 weeks. PLAY @ ALL to FACE dot-com. 2> 1 - Provisional Patent application;. Included in this sale are. 2> Free push if you have a GoDaddy account. 1> The dot com. Stands for H ey E at M ore P rotein™. H elp E ase M edical P ain™. 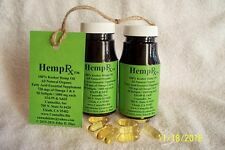 Hemp Oil Pulling ®. Oil Pulling is a 2,000-year-old Oral Hygiene Tradition for Better Health. Provisional Patent dot APP is for sale.
" pending" Federal product TRADEMARK >VAPERx ™ serial # 88-361111. For Sale is my This process will take from 2 to 3 weeks. 2> Free push if you have a GoDaddy account. This domain is for the Hemp Industry. Rights to the Android App (it will be transferred to your Google Developer account). Free installation of your Admob code into the app. Presto Hemp dot com is for sale. Presto Hemp ™. for a Federal Trade or Service Mark application.